When you ride in colder temperatures, and especially if you ride voluminous tires, you should be monitoring air pressure more vigilantly. Why? Because if you set your plus bike's tires at, say 18psi, and you do that indoors, your pressure will be different outside at 28°F on the trail. In fact, it will be lower, and as you may know, 1psi can be a huge difference in feel, grip, and makes the difference between "fun" and, well.......not fun. Digital air gauges are nothing new. In fact, I've had one before. It was a PRO (Shimano accesory brand) digital gauge that was awesome. It was small, read very accurately, and was easy to use. Unfortunately, when the small battery went dead and I opened up the unit with expectations of replacing it, I found out I couldn't. The geniuses that manufactured the gauge tack welded in the battery. So, I got a mechanical gauge, and my son got a hold of it, dropped it, and broke the glass over the gauge face. I went without a gauge last year, but I knew I needed another, and the shop where I work just got in these Blackburn "Honest" digital air gauges. I figured I'd give it a try. It has a pivoting head, holds the reading until you dismiss it, and reads in Bar or PSI. It's light and is about the size of a slightly plump BIC lighter. (Does anyone even use those anymore?) You can get one for about $24.99. NOTE- I bought this with my own damn money. Velocity USA- More than just rims and hubs. My old polished set of A-23's from Velocity USA were quite tarnished and soiled. It was time for a clean up. This included changing the tape, which had been on there since 2012, and through various tire changes. It was time to re-do the tape, clean up the rim well, and get the wheels ready for a tire test I have to do. Now, I could use Stan's yellow tape, and that would be fine, but did you know that Velocity USA also makes a tubeless tape and valve kit for their various wheels and rims? Yes, and it is good stuff too. So, since they make stuff made to measure for their rims, I ordered up and purchased this tubeless tape and valve kit. The tape has just the right consistency. A great mix of stretch, toughness, and sticky adhesive. It isn't like Stan's, but it is similar. The valves come with nice plastic spacers which sit between the rim and the Presta valve nut which helps lock in the valve inside the rim well better. My old A-23's are polished, as I said, and are laced to polished Velocity branded hubs too. Classic looking stuff, but re-polishing cruddy, neglected rims is a chore! Ha! No one to blame but myself there! It took quite a while, but I got them looking pretty spiffy again. Next will be the new tape, valves, and then on to mounting the tires I need to test. By the way, if you haven't replaced your tape and/or valves in several years, you should. It may help to avoid a failure. Valves corrode and tape adhesive degrades over time. Another thing you should be doing is to replace your removable valve cores about every other time you re-up on sealant. The "gravel family" continues to amaze me with their thoughtfulness and generosity. 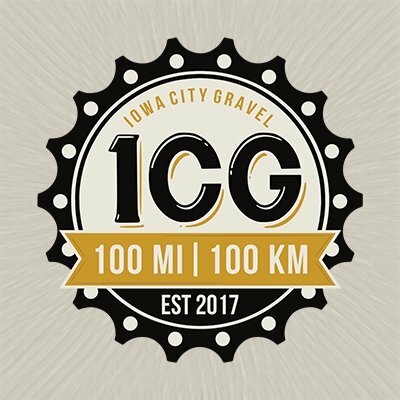 The latest example comes from the IC Gravel event, which occurred October 27th. Originally I was scheduled to take part in the event. However; something came up within the family, (my own), and I had to cancel. I regretted doing so, and sent my notice and apology in to the race director. Anyway.... The day was like any other day yesterday, but when my son brought the mail in, he had a package. Hmmm......... What could this be? 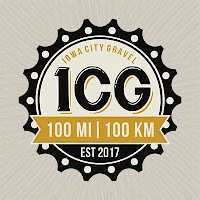 I opened it up and it was my race packet for the IC Gravel replete with my race number, t-shirt, patches, and stickers. Wow! I was blown away! Look, I didn't expect any of this because I didn't deserve it. Why should I get something others got because they toed the line? But that's not how IC Gravel saw it, and I have to say I am humbled. Thank you! I will wear the event t-shirt proudly and tell everyone that sees it about this great gravel event. That's it for this week. It may have snowed where you are, but don't let that stop you from riding! Bic sponsored a pro cycling team 1967-1974.